Our BSRR Black Sunnranger Ruby IR LED illuminator is a great addition to your night vision setup. 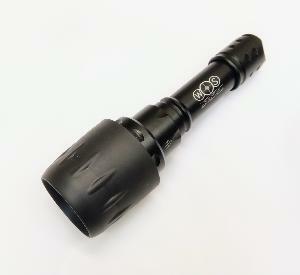 This is a production version of an excellent conversion of the standard T20 torch host fitted with a Yukon 50mm ranger lens system. The original conversion was made by the user sunndog on the excellent www.nightvisionforumuk.com hence the name. 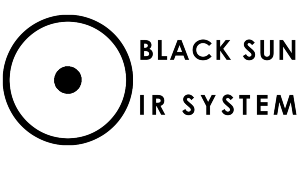 We have updated the concept further by fitting the latest Black Sun Ruby IR System pill. The beam is focussed via a precision multi lens system, providing exceptional beam quality and is easily and smoothly adjusted from flood to spot. Quality bit of kit turned up very quickly A++ cheers Clive. Best IR on the market. 3 power settings perfect for different nightvision devices. Best ir torch so far. well made and makes a big difference . Excellent performance IR illuminator in a robust construction. Awesome sunranger, I’ve tried a different brand in the past that’s pushed on Facebook but the build quality and performance of Clive’s ruby version just makes others look very ordinary. Fantastic bit of kit. The best IR illuminator I’ve found for the money by far and the perfect match for my Sightron S-Tac and Ward 800L combo. 100% satisfied. Great innovative products...stop it please...although a dedicated digital scope would be great :). An excellent piece of kit, I’ve tested it on the Archer night vision and it is by far the best IR illuminator for the job. The clarity is fantastic. Very powerful and well made “sunranger” for an excellent price definitely the best I’ve seen.